Germs are everywhere and can affect every surface in your home. Keeping your baby healthy amidst all of these germs requires an understanding of the proper way to clean and disinfect your house. While this won't eliminate the chances of your baby getting sick from time to time, following these tips will drastically reduce the rate at which it happens. The following will provide an in-depth look at how to keep your baby healthy with household cleaning and disinfecting. 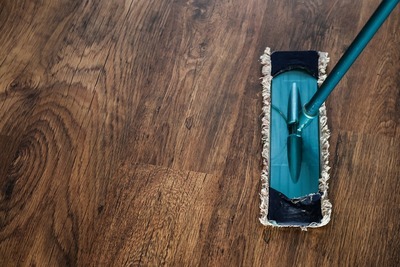 Why Is It Important to Have a Clean House? The reason it's so important to keep your household clean is due to the fact that babies don't care at all about touching something or sticking their hands in their mouths after doing so. There are many ways in which babies can readily come into contact with germs. Reducing the amount of germs in your house by as much as possible is key in keeping your child from catching an infectious disease. There are a few household sanitation techniques you can use in order to cut down on the amount of germs that your baby can come in contact with. Always use soap and water, as this will displace the germs from the surfaces they were attached to. Two of the most important areas to keep clean are the kitchen and the bathroom. Many illnesses a baby can suffer from can be caused due to food germs. As such, it's essential that all of the surfaces in your kitchen are wiped clean on a regular basis, to the point where food could be prepared on the surfaces. The floors of a kitchen should also be wiped clean, as food and drinks can drop onto the floor and make for unclean living conditions. When doing so with a rag, make sure that the rag is also clean before use. As for the bathroom, this area is typically a hive for germs, which is why it's important that you completely clean the counter, floor, sink and toilet for every bathroom in the home. If another house member has recently been sick, be extra thorough. You might also want to consider using separate hand towels until the family member has gotten through their sickness. Cleaning is just one aspect of keeping your house germ-free and your baby healthy. You also need to disinfect every area that you clean, particularly in the kitchen and any bathrooms. While washing with soap and water displaces any germs, disinfecting the area is necessary to kill those germs. Disinfecting is commonly done with substances like bleach. 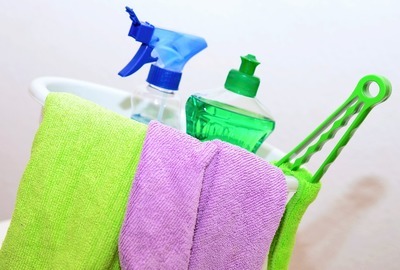 Toilets, kitchen and bathroom counters and kitchen floors should regularly be disinfected after being cleaned. In order to ensure that your baby doesn't suffer from illnesses on a consistent basis, you need to wash your hands multiple times per day. Doing so will reduce the risk of you passing on germs to your baby when holding them or playing with them. Clean you hands with soap and water and scrub well for around 20 seconds to rid your hands of germs.